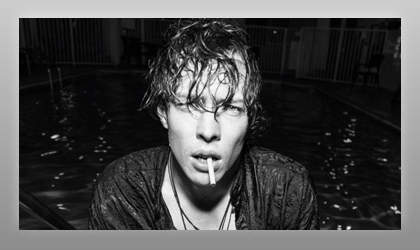 Despite having only released a handful of singles, British born and U.S. raised musician Barns Courtney has already experienced the highs and lows that most artists could wish to encounter in a lifetime. His is a story of family, turmoil, bad record industry deals, homelessness, serendipitous meetings with movie moguls and sheer talent and hard work winning out against the odds. His song “Glitter & Gold” reached No.1 on the UK Spotify Viral Charts last year and his streaming stats continue to explode, currently earning over 75 million globally. He has performed on James Corden’s The Late Late Show, Conan O’Brien’s talk show Conan, earned rave reviews at SXSW and BBC Radio 1’s Big Weekend as well as support slots for the likes of Blur and The Libertines on tour.